Do you like to read poetry? I know that a lot of adults don’t care for it, but poems can be very powerful and promote critical thinking. We have several poetry books that we read occasionally. We have even memorized many poems, but we haven’t really studied them in depth. That was why I was very excited for the opportunity to review Poetry for the Grammar Stage Set by Memoria Press who provides a great number of great classical core-aligned curriculum. Even if you are not following a classical scope and sequence, their curricula is fantastic and can be incorporated into any homeschool. Don’t Know How to Teach Poetry? Read the poem aloud while the student(s) follows along. Have the student read the poem aloud. Have the student paraphrase the poem. Discuss what stands out to the student. Discuss poetic elements such as repetition, tone, imagery, diction, symbolism, etc. specified in the lesson. Explanations of these terms can be found in the glossary. Discuss the title and its relevance. Have the student summarize the poem again, including new insights from the discussion. The student workbook guides the student to further analyze and reflect on the poem. It breaks each lesson into the following sections: the poem, vocabulary, analyzation, and comprehension questions. Each poem is printed out in its entirety along with a box within which to draw a picture to illustrate the poem. Lines provide a space for the student to copy out the poem. Key vocabulary words are pulled from the poem and defined. See pictures below for examples. meter and cadence, to name a few. Here the student discusses lines and phrases to develop a deeper understanding of the poem as a whole. They determine what they think the meaning of the poem is, and they may compare it to what they think the speaker/author means. As a former English tutor and linguist, I thoroughly enjoy reading and literary analysis. Poetry for the Grammar Stage Set approaches the fundamentals of this simply and concisely. I was able to introduce many structural and literary elements to my students in a way they could understand. We had some really great discussions, and I really enjoyed watching my kids learn to make connections and describe a literary work with meaning and depth. If you teach classically, this curriculum will flow with your other curricula. Even if you don’t follow a classical curricula, this would be a great addition to any eclectic homeschool. Have you tried Poetry for the Grammar Stage Set in your homeschool? If so, I would love to hear about it in the comments below. If you are looking for a structured and formal approach to poetry, this may be a good fit for you. 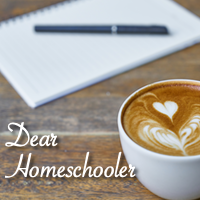 Be sure to check out the other reviews by the Homeschool Crew by clicking on the banner below.